The Chicago Bears saw the dream of signing Robbie Gould go away this week. But we examine other kicking options in free agency as the Bears move on from Cody Parkey. It wasn’t as devastating as the ‘double doink’ to end the season, but Chicago Bears fans took [another blow](http://www.espn.com/nfl/story/_/id/26084782/49ers-place-franchise-tag-kicker-robbie-gould) this week. Their kicking savior, and the guy [who could answer their Super Bowl dreams,](https://www.betchicago.com/bears-super-bowl-54-offseason-needs) is not coming back. Former Bear Robbie Gould will be staying in San Francisco thanks to the tight restraints of the franchise tag. [Gould was the logical answer and desirable replacement](https://www.betchicago.com/bears-replace-cody-parkey-robbie-gould-49ers) for Cody Parkey, who is [being cut](https://profootballtalk.nbcsports.com/2019/02/27/matt-nagy-confirms-cody-parkey-is-out-in-chicago/) by the Bears after his disastrous attempt that ended Chicago’s season in the divisional playoff round. The fact that Gould will not be a Bear again, however, is not as deflating as an errant kick ricocheting off the goal post meekly to the ground (too soon?). There is hope. [The college kickers the Bears are currently reviewing at the NFL combine in Indianapolis aren’t bad. ](https://www.betchicago.com/chicago-bears-nfl-combine-draft-free-agency) The Bears will likely want to put their Super Bowl chances in the control of veteran kicker, however. There are other options than Gould. Let’s look at some possible fits for the Bears, who don’t have a ton of salary-cap [space](https://www.spotrac.com/nfl/cap/2019/) but should be able to swing a deal for a new kicker. __Stephen Gostkowski__ He is a stud and an underrated part of the New England Patriots’ dynasty. Of course, the Patriots could give Gostkowski the Gould treatment and franchise tag him. If he hits the open market, the Bears need to pounce. 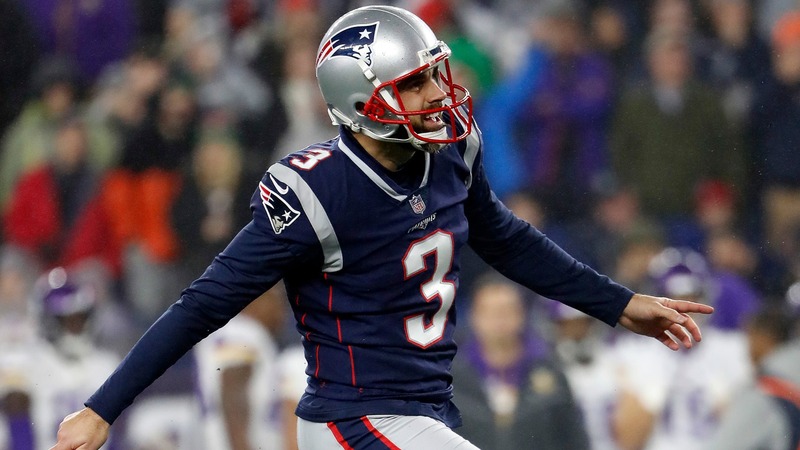 Gostkowski would likely relish the opportunity to sign with another contender. __Jason Myers:__ The New York Jets’ kicker hit 91.8 of his field-goal attempts in 2018. Impressively, he nailed six field goals of 50 yards or more. Myers struggled in 2017, so there is some worry. But this 2018 season does stand out. He likely wouldn’t be too pricey. __Matt Bryant:__ Bryant will turn 44 in May. But he is still reliable when healthy. He missed just one field goal in 2018. __Sebastian Janikowski:__ He turns 41 on Saturday. He missed all of the 2017 season to end his 18-year Oakland season. He was solid for Seattle last season before being [injured](https://www.si.com/nfl/2019/01/05/sebastian-janikowski-injury-updates-seahawks-cowboys) in the playoffs. __Conclusion:__ The free-agent kicking cupboard is not bare. Clearly, Gostkowski is the Bears’ prime choice. If the Bears can't land him, they can look at the draft and then maybe go back to someone like Bryant or Janikowski. While it’s a bummer for Bears fans that Gould won’t come to the rescue, there are positive ways to move away from the Parkey nightmare. __Game lobby:__ [Check out our free-to-enter contests](https://betchicago.chalkline.com/).